Unfortunately, even some of the best-made vehicles on the market, like the ones from Honda, still require regular maintenance. Not only does routine maintenance ensure you are getting the best fuel economy and performance from your vehicle, but it also means it will be by your side for many years delivering reliable transportation. If you want to make sure that vehicle maintenance in Golden, CO is being done right, make the short drive to the Planet Honda Service Department today! Thanks to our fully trained staff of professional vehicle technicians, we can not only provide your Honda vehicle with the care it needs, but we can also work on many other makes and models as well. 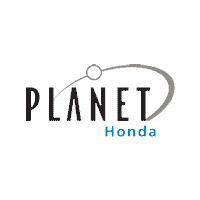 Why Service Your Vehicle With Planet Honda? Each of our service department members has the knowledge and skills to work on a wide variety of vehicle repair and maintenance needs in Golden, CO. Quality is our specialty and we make sure the job gets done right every time. Nothing can be more unsettling to a vehicle owner than not knowing the working condition of their vehicle, and we strive to make sure you are always satisfied with any work done at the Planet Honda Service Department. For added convenience, Planet Honda also has a handy online schedule service option so you can get in and back on the road faster than you ever thought possible. Not only is quality important to us, but we also make sure you aren’t sitting around wondering when you will have your vehicle back, so we try and keep our work as fast and accurate as possible. And throughout every service, from routine oil changes in Golden, CO all the way to the most comprehensive repairs, we make sure to keep you informed every step of the way. This means no surprise bills, no unexpected problems and no games, just honest service you can feel good about every time. Taking your vehicle to the Planet Honda Service Department not only means that a professional mechanic who knows what they are doing will be working on it, but it will also be given the proper replacement parts it needs to perform its best. Your vehicle was built with high-quality parts, to begin with, and those same parts need to be used every time maintenance or repairs are needed to keep it performing the way it should. In fact, the Planet Honda Service Department stocks a huge selection of these parts right here on hand to ensure we can get you in and back on the road as quickly as possible. Our shop is also filled with state-of-the-art equipment to install all of these parts so you can feel good knowing your vehicle is in very capable hands. To get started today give us a call at (303) 215-4200 [#1] or bring your vehicle in to our service department location at 15701 W West Colfax Ave, Golden, CO 80401.